First, it’s important not to see floor board width as “yet another decision” to make. Instead, see this as the selection of a major design feature. Your decor, the size and shape of your rooms, your budget, and of course your personal taste will be the important elements to consider. In addition to the width of the floor boards, consider the appearance of the wood grain and how it fits in with your preferred decorative style. 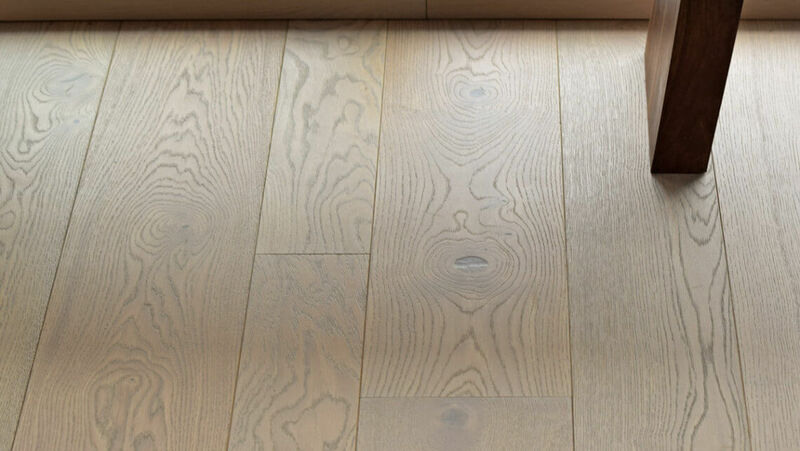 Most oak has a consistent but prominent grain and the width of your chosen board can emphasise the appearance of this grain and should be an element to consider. Wider boards offer a larger surface; perfect for displaying more character and knots. While narrow floorboards can be ideal for a more refined appearance. A few years ago, narrow floorboards were still very much in fashion, however more recently we’ve seen growing interest in board widths of 260mm, 300mm and even 380mm wide, all have become very popular within contemporary style interior decor.The traditional, more narrow floorboard will always be considered a classic. Contrary to what you might think, a small room doesn’t necessarily need narrower boards. Instead, using wider boards will give the impression of a larger space simply because fewer joints are visible. Laying boards in a herringbone pattern with narrower boards can also give the illusion of a larger space in a narrow room. Using the chevron pattern is an excellent way to make the space appear much larger. And it’s the same conversely for wider boards, which can fill the space of a larger room better and adapt easier to scale. The wider the boards, the higher the cost. Why? Simply because larger boards are rarer as bigger logs are harder to find. It really comes down to choosing what you like most. 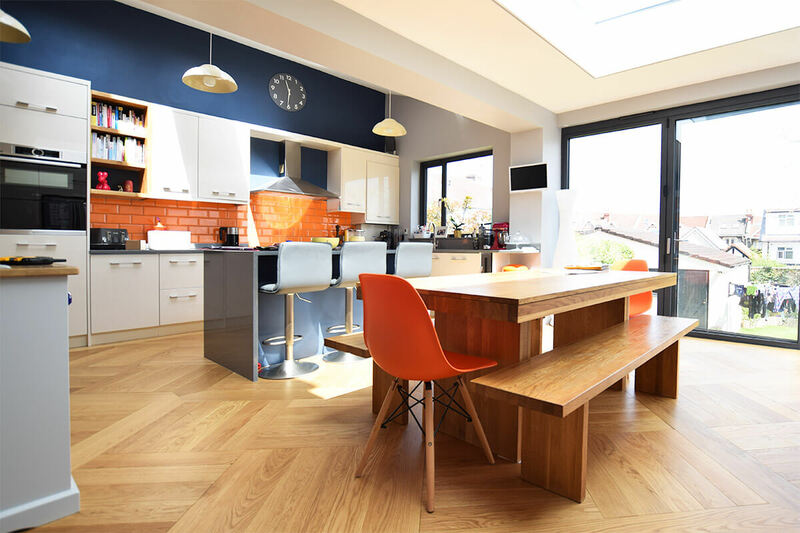 That’s why it’s often best to start your renovation plan with a choice of flooring material since a good chunk of your budget will go toward it. It is, however, possible to strike a balance between what you like and what your budget considerations will allow and let us meet you somewhere in between.